People are often only aware of what is in their own backyard: the intrusiveness of a radar tower here, an ammunition dump there. 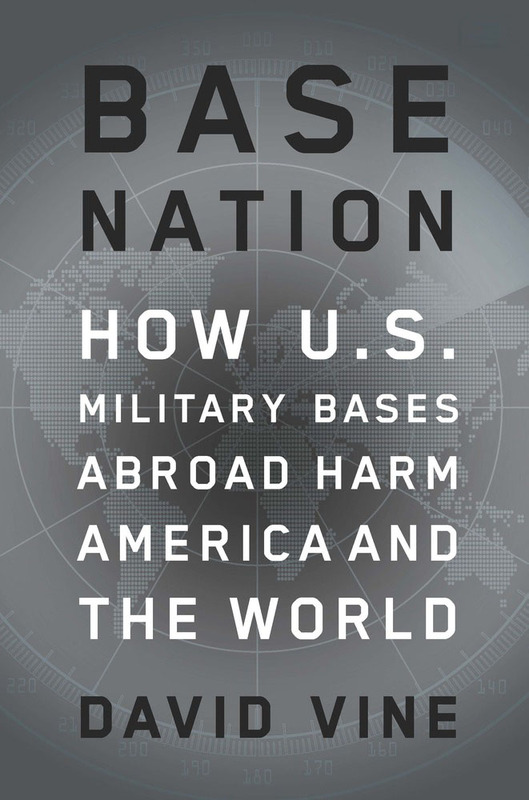 David Vine’s new book, “Base Nation: How U.S. Military Bases Abroad Harm America and the World,” succeeds in shaking us out of our provincialism. The author begins his book on America’s global military installations with a description of the less-publicized side of the U.S. base in Cuba’s Guantanamo Bay. Here the quotidian hallmarks of middle-class suburbia — manicured gardens, barbecue grills, artificial turf, a roller-skating rink, outdoor movie theater, post office, beauty care shops, schools, a chapel and a McDonald’s — compete for visual attention with heavy-duty military vehicles and razor wire. The point is clear: The very ordinariness of bases around the world belies their lethal impact on the lives of proximate residents and the environment. Vine writes that, astonishingly, the U.S. maintains around 800 bases worldwide, many in places you might never imagine, such as Bulgaria, Aruba and Burkina Faso. Few American citizens question the necessity of these bases or the staggering cost of building and maintaining them, which — despite the Pentagon’s efforts to obfuscate figures — costs American taxpayers something in the region of $100 billion annually. The financial costs pale against the human ones, with military personnel directly responsible for countless sexual assaults, a slew of minor criminal offences and massive amounts of environmental and societal damage in the form of chemical, oil and fuel leakage, in addition to the discharge and burial of toxic materials, and the forced displacement of local populations. And one further practice the author feels tarnish America’s international reputation: the government’s preference for bases in “undemocratic and often despotic states.” Niceties such as human rights are quietly ignored when collaborating with these types of regimes. 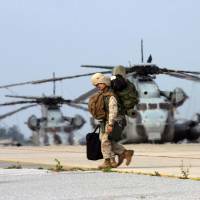 According to the author, the military is keen to move many of its installations from Western Europe, where environmental regulations are strict, to more amenable and impoverished areas of Africa and Eastern Europe. 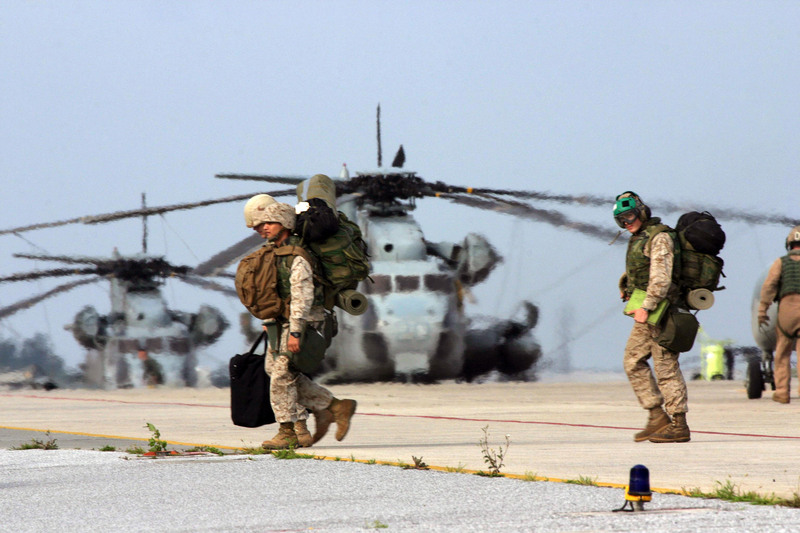 Vine questions whether bases promote or undermine security, and his conclusions echo sentiments often voiced among Okinawan residents and activists that the presence of bases turn host regions into primary targets. The author points out that technological advances in transportation have largely obviated the deployment of troops from overseas bases, and that military installations near the borders of countries such as Iran, Russia and China only succeed in exacerbating tensions and encouraging unfriendly nations to increase their military budgets in the face of perceived threats. Vine’s book is the fruit of extensive primary research, the writer traveling around the world over the course of six years, conducting interviews, collecting data and examining bases first hand. The author traces the roots of his country’s siege mentality from the establishing of frontier forts across the American West to the Cold War-era expansion, and the current administration’s so-called Asia pivot. Ultimately Vine’s focus returns to the suffering inflicted on locals, citing in one instance the case of Diego Garcia, a British controlled island in the Indian Ocean, where a plan to build a U.S. base came with the insistent proviso that the indigenous population be relocated. This duly occurred, with forced deportations of the entire population of Diego Garcia to Mauritius and the Seychelles, some 1,800 km from their birth place, where they were then left on the docks to fend for themselves, quite literally. They remain, to this day, the most indigent of the island’s residents. The military authorities often appear indifferent to the fate of assault victims. After three marines abducted and gang raped a six grade Okinawan girl in 1995, Adm. Richard C. Macke, then commander of U.S. forces in the Pacific, succeeded in infuriating local sensibilities when he declared, “I have said several times: For the price they paid to rent the car they could have had a girl.” Violent crimes, fatal accidents and local opposition have largely been ignored because of the military’s abiding sense of entitlement and impunity. 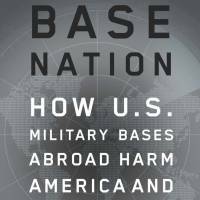 Most of us are powerless to change the course of history, but, if nothing else, “Base Nation” forces us to bear witness to the perils military megalomania poses to the world we live in.